Welcome to our quarterly Tax Newsletter! 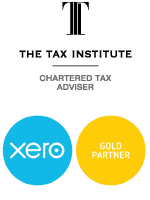 The race is on to get your 2017 financial year tax sorted, so if you haven't dropped by to see us please make it a priority. We have some great reminders below on what you can and can't claim for work- related expenses and what repair costs you can and can't claim on a rental property. Make sure you check them out to ensure you get your tax right. Also in this newsletter, we have the basics on the tax implications of investing in Bitcoin, a reminder that dodgy arrangements could cost you your retirement savings and a few upcoming key tax dates to note. Please be aware that there have been some of changes to law and legislation that have been announced recently that applies now or is set to change come the new financial year. These changes may change your obligations and requirements for your business and/ or your personal tax and we feel it is important to give you the heads up. Make yourself a cuppa, release your inner tax nerd and read on. If you have any queries or need to book an appointment, as always, please do not hesitate to holler! 1. You must have spent the money yourself. 2. You were not reimbursed for the money spent. 3. The expense must be directly related to earning your income. 4. You must have a record to prove it. 1. Trips between home and work. Generally, you can’t claim a deduction for these because they’re considered private travel. 3. Car expenses that have been salary sacrificed. 4. Meal expenses for travel, unless you were required to work away from home overnight. 5. Private travel, so if you take a work trip that includes personal travel you can only claim the work-related portion. 6. Everyday clothes you bought to wear to work (e.g. a suit), even if your employer requires you to wear them. 7. A flat rate for cleaning eligible work clothes without being able to show how you calculated the cost. 8. Higher education contributions charged through the HELP scheme. 9. Self-education expenses when the study doesn’t have a direct connection to your current employment – your future or dream jobs don’t count. 10. Private use of phone or internet expenses – only the work-related portion counts. Upfront deductions for tools and equipment that cost more than $300. However, you can spread your deduction claim over a number of years, which is called depreciation. Note! From 1 July 2017, travel expenses relating to a residential investment property are no longer deductible. Under new laws, you are no longer able to claim any deductions for the cost of travel you incur relating to a residential rental property. You can only claim deductions if you are carrying on a business of property investing or are a corporate tax entity, public unit trust, managed investment trust, unit trust or partnership or super fund that is not an SMSF. Tip! If you invest in a rental property, you'll need to keep records right from the start, work out what expenses you can claim as deductions, and declare all your rental-related income in your tax return. Note! Any reference to Bitcoin in this newsletter refers to cryptocurrency, or other crypto or digital currencies that have the same characteristics as Bitcoin. Tip! Book in an appointment to get some independent advice from us before entering into ‘too good to be true’ arrangements! 15 May 2018: 2017 income tax return due if lodging through a tax agent and your return was not due earlier. Tax to be paid as advised on the notice of assessment by 6 June. 5 June 2018: Obligation- 2017 income tax return due for individuals with a lodgement due date of 15 May 2018 if lodging through a tax agent provided you also pay any liability due by this date. This is a concessional arrangement provided to tax agents where individuals will not pay failure to lodge on time (FTL) penalties if they lodge and pay by this date. The Tax Institute. 2018. ‘Taxwise Individual News, April 2018’, Tax Wise Business News e-newsletter, April.